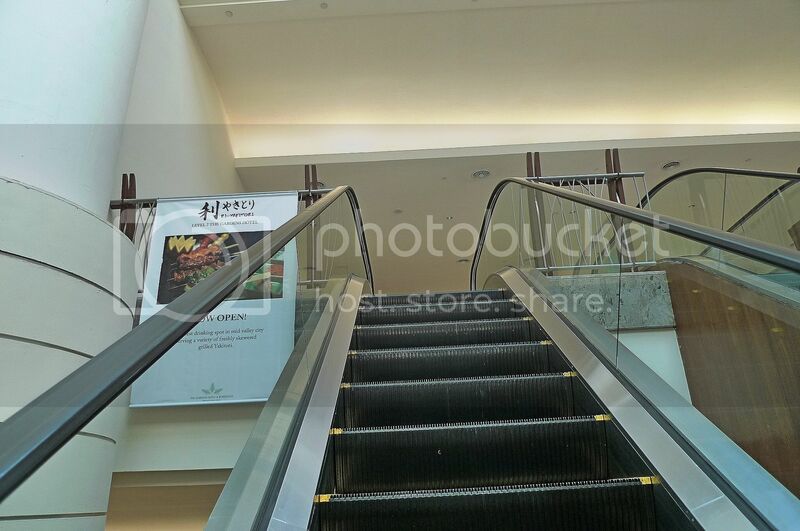 Do you know which is my favourite shopping mall? No, it's not Pavilion or Sunway Pyramid. 1Utama? Close, but not quite. 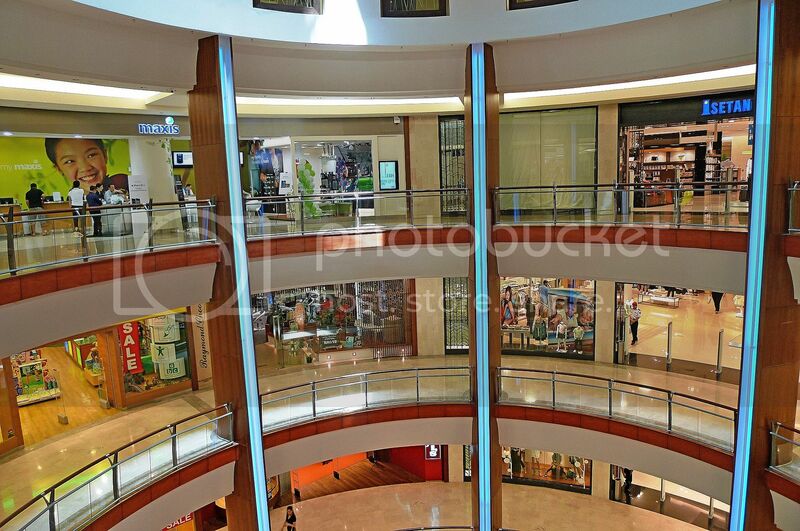 Yes, it's none other than The Gardens Mall in KL! Sorry, no prizes for guessing correctly as the title of this post already gave it away!! Although I hardly shop here (too expensive! 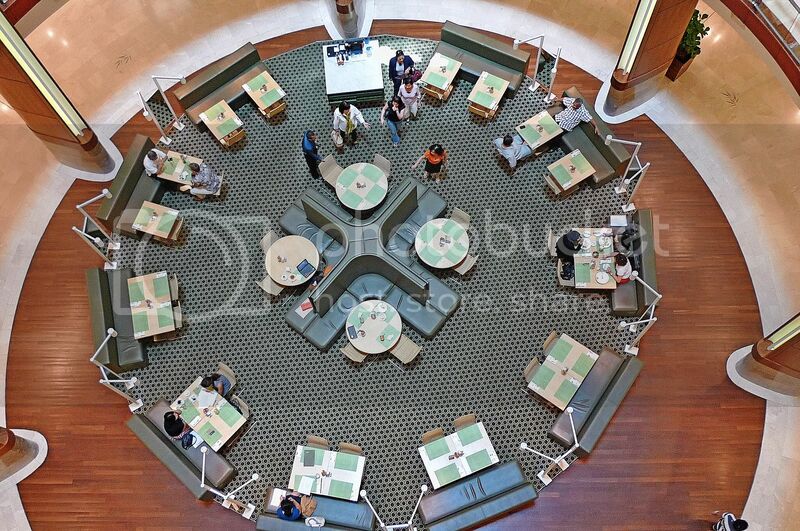 ), I like it because it's not crowded with people and the ambience is cool. And I love its automatic elevators, which move only when they sense you are about to step on them. And what is a Gardens Mall without gardens right? There's a garden on the top floor of the mall. But, mostly I like The Gardens for its... believe it or not ..... toilets!!! Yes, it has one of the cleanest toilets for a shopping mall! OK, that's a photo of the men's toilet. But that does not mean I do not know how the ladies' toilet looks like! Haha! I have been to the ladies toilet before but did not bring my camera at that time. In case you think I am a pervert to sneak into the ladies' toilet, let me assure you that I am not. I was, in fact, invited by my female friend to go into the toilet with her after a midnight movie one night. No, nothing happened between us. What were you thinking? There was absolutely no one around and she was afraid to go into the toilet alone so I agreed to accompany her. While she did her business in the cubicle, I looked around the toilet admiring the cleanliness and all. Did you know that at the Gardens Mall, the men's toilet is as clean as the ladies' toilet if not cleaner? I can attest to this as I have been to both! I always like toilets with auto sensor for the tap so I do not have to turn the tap to wash my hands. As you can see, the Gardens' toilets have them! Can you see the towels and hand soap and lotion in the photo above? Now say "Wow!" OK, to be honest, most of the toilets in the Gardens Mall do not have these towels and hand lotion. But they are still the cleanest toilets around! But this toilet, which is located on the ground floor next to ISETAN, is different. There is a catch. You need to pay RM5 to use this toilet! Or you can use it for free as long as you are an ISETAN Club member. Aha! That's one of the privileges! Quick! Quick! Sign up as a member now! Haha! I have always known about this RM5 toilet but have never had the chance to go in. Simply because I refuse to pay RM5 just to pee! Last night was my first time since I had with me my brother's ISETAN member card! 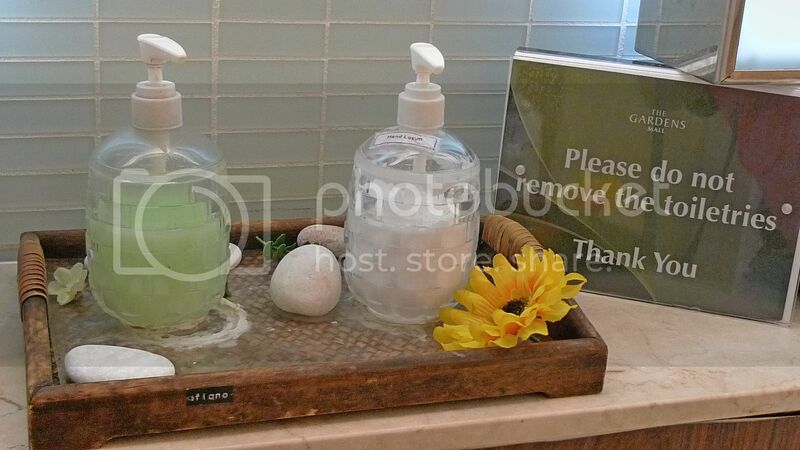 The bottle on the left with the green liquid is the hand soap and the bottle on the right is the hand lotion. By the way, I love the smell of the lotion! I am not sure what brand as it's not written there. But judging from the quality of the soap and lotion, I doubt it is a cheap brand! Perhaps that's why they have put up a sign "Please do not remove the toiletries". Haha! Besides, I tried to take the bottles up but found them glued at the bottom! So have you been to this RM5 toilet? And where is your favourite toilet besides the one in your home, that is? Note : It appears that you can also use this toilet for free if you are a Robinsons card member, a Gardens privilege card member, or if you stay in Gardens Hotel. Also if you pay RM5, you will be given a full day toilet pass so you can use it as many times as you wish and possibly lend it to your friends. However, they may have changed the rules and conditions so it's best to check with them for the latest updates. is there a guard to check your membership? what were you doing in both toilets "male and female"? seriously? RM5! wow.. it better be so clean i can eat from the floor..otherwise I throw tantrum! Clean toilets should not be privileged.. it should be a right! what is the world coming to?? wow..i thought paying 50cents in Germany's toilet is already too much. so nice! got garden summore! very nice!! :D so green! so luxury! everything prepared already! :D got bathtub or not? mwahahaha!! This is so ridiculous. In Dubai, all the toilets in the mall are as pretty as this and it doesn't cost a cent. I like the Gardens Mall toilet too. Raimie does too. Feel like using a hotel toilet when using the Gardens Mall toilet, right? pssst.... you went to Ri Yakitori is it? I've been in there with my Robinsons card (card is free!) the other time. I feel bad for people that actually paid the RM5 - it's not much of a step up, honestly. i'm quite OK with The Gardens, but most of the time i only go to Isetan..
not really interested with the shops in there, all very expensive.. but i do like it being a lot less crowded..
oh, of course i've heard of the RM5 toilet.. but never get in before leh..
pay RM5 just for a pee, really not acceptable for me lor.. i'm not that rich yet, and even if, not that wasteful lah..
but then there are two things that i do not know about that.. thanks for sharing!! first is that the RM5 is a day pass unlimited access, hehehe.. that actually makes more sense lsh..
the second is, free entrance for Isetan Membercard holder!! wow, i really didn't know that..
i am already a IMC cardholder since they operate in KL 20 years ago..
mariuca, I heard last time they use to have perfume spray but not sure true or not! Yeah, I took the opportunity to take photos as there was no one around! eric lee, I'm afraid there is no place for you to bathe in that toilet! Haha! lina, Wow! So many cards? Kaya!! SK, haha! 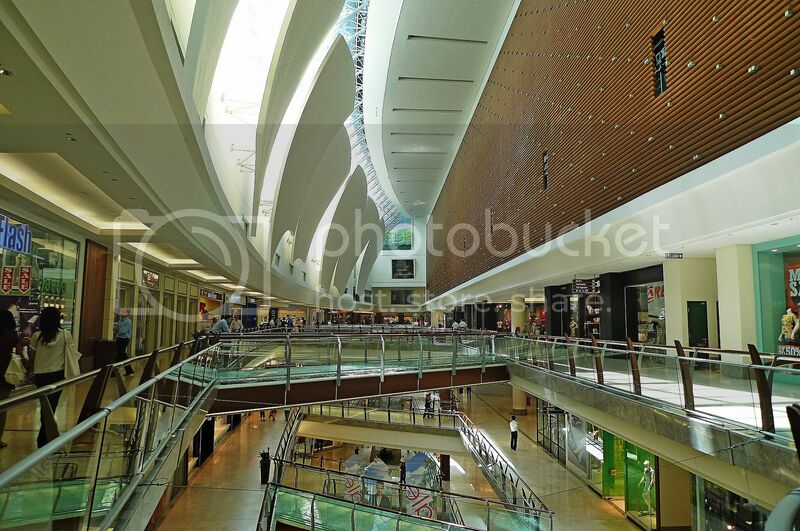 Actually the title of the post is "My Favourite Shopping Mall" that's why I asked you all to guess. But after finishing the post, I realised the title was a bit too boring so I changed it to the current title. And I was too lazy to change the contents already. LOL!! Haha! You are a member of ISETAN and you didn't know this free toilet privilege?! LOL! You no need to take photo of the toiletlah, I have already been there, done that! LMAO!! So this post can allow me to say even more louder that "money is not everything but everything needs money. To pee at Gardens Mall you need to pay RM5". Used to talk about paying 0.50sen in Sogo, then RM2 in KLCC now RM5 at Gardens Mall. The rich gets to pee foc coz they got cards and sorry for poor people like me have to hold up the leak hopefully to pee at home..haha. tekkaus, what?! you prefer Mid Valley? Looks like you and I have different taste! Haha! Anyway, most of my friends prefer Gardens. I think you can buy more things at Mid Valley cos it's more affordable though, but then I can buy at 1Utama or any other shopping malls! KLCC charges RM2 for a toilet visit. They should do away with these ridiculous charges. Toilets should be provided FOC! I like The Gardens too. Quiet and nice eateries. Plus, Delectables by SU is there. Italiannies and Alexis too. Really? Isetan member can go in for free? cool cool coz I'm a member but didn't know such 'privilege' exist. The card admit one person only? 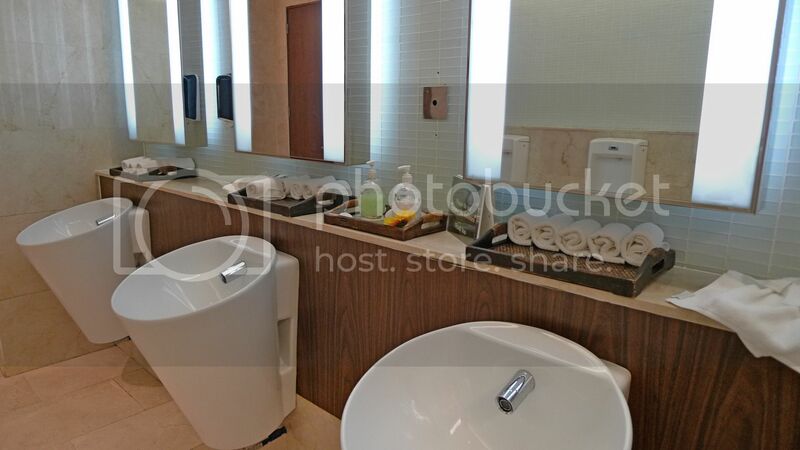 wow more expensive than the toilet in Suria KLCC 1st floor!! got discount with isetan card? I wonder how much have they collected so far. Who believe that nothing happened when you sneaked into the ladies' loo! you sure enjoyed nia...! 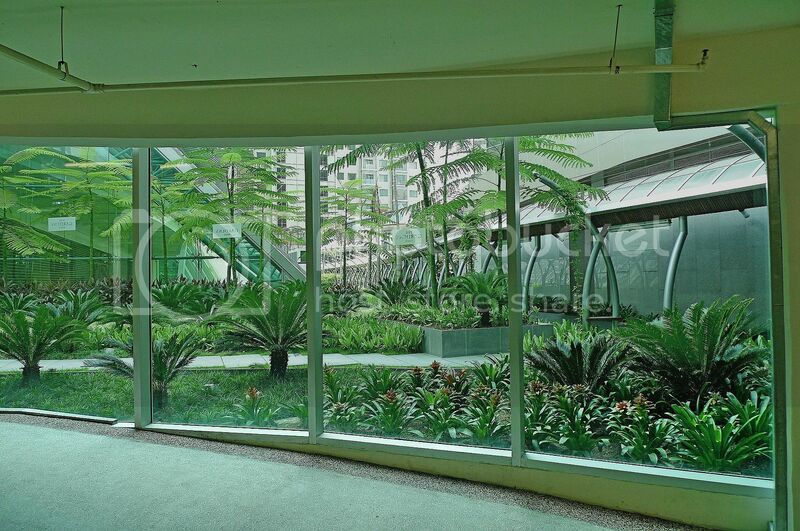 I live near Mid Valley and hangs out there often but never knew they have a garden above THE GARDENS! You gave me a surprise! It is too costly to use this toilet. Just can't imagine RM5 each time to use that luxurious toilet. I never hope to use such a costly toilet in my life. i don't think i'd pay for this RM5 toilet. too expensive for my pocket. It's so spacious there, I like free flowing space design like that. 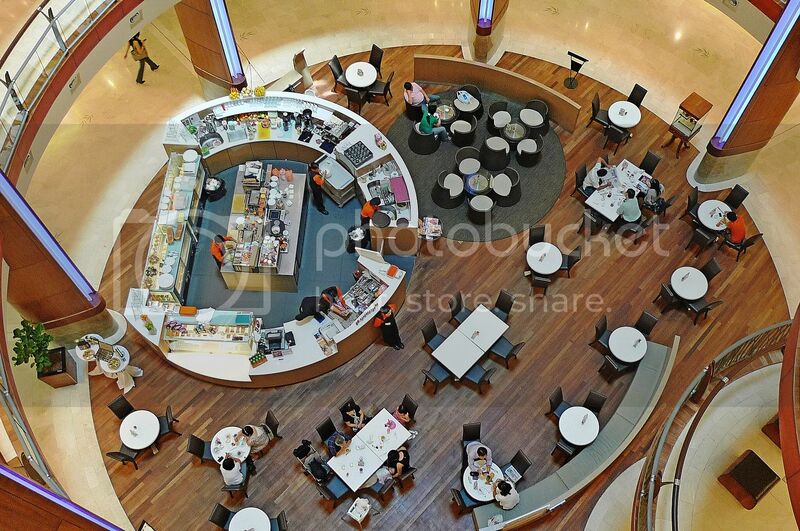 Is this Gardens Mall the one just next to Mid Valley? Lend me your bro's ISETAN membership card next time, would ya? It's pretty costly to use the toilet there. I don't think more people use the toilet as because of its cost. But if there is no other option left, then have to try this.